The 2016 awards shows that business-to-human campaigns are getting more and more popular. It feels there's a greater Chinese presence in Cannes; every time you log in to the WiFi at the Palais, a Tencent welcome screen appears, WeChat buzzes with questions from clients – and some of our Chinese clients are here for the first time. Last week we shot a film in Shanghai as part of a larger integrated campaign launching later in the year in China and then coming West. The ambition and drive of our Chinese clients to build business here and their willingness to buy the best ideas feels like it will soon be better reflected in the work at Cannes. Perhaps one of the most inspirational moments of the last few days was when a client said to us: "I want to heal the wounds of world. I just want to start with energy." Suddenly, the work we do seems more important. In Cannes this year, there has been the debate around the amount of cause related work leading the term ‘cause fatigue’ being used. One of the most fundamental conversations we can have with our clients is around purpose or what we would frame as ‘future legacy.’ As companies move into a purpose-driven age and the expectations of businesses in the eyes of their audiences, the question of what is their ‘future legacy’ becomes more important. What are they to leave to the world, the next generation, beyond making or providing products and services? This question seems to have been hijacked by some brands ‘acquiring’ a cause and linking campaigns to it. While highlighting any good cause is a noble thing, it feels as though it needs to be more fundamentally linked to the clients purpose to avoid ‘cause fatigue'. Cause fatigue was not a problem in the seminar called The Power of Cinema to Drive Cultural Change with John Hegarty, Steve Golin, Lawrence Bender, Jason Solomons, and UNICEF’s Claudia Gonzalez. During the talk, they premiered #WhatIReallyReallyWant, an ad remake of Spice Girls’ "Wannabe" music video. It reflects the voices of girls and women all over the world, telling world leaders what goals they ‘really really want’ to be achieved to help improve their lives. It’s a beautiful piece of work highlighting Sustainable Development Goals agreed in 2015. Gonzalez perfectly described the reason why this work was so important. "This is not my agenda, this is our agenda," she said: "This is our planet, we have no planet B." This campaign is a great example of the rise of B2H (business-to-human) campaigns that again have been increasingly popular at Cannes – campaigns that talk to us on a human level rather than as businessman, government official, or part of a trade body. At H+K we have been using our B2H philosophy to great effect with all clients and have stopped talking about B2B or B2C campaigns. We believe communications need to engage with us as human beings – to do this most effectively it means brands need to have a point of view. This point of view will alienate some but make fans of others. 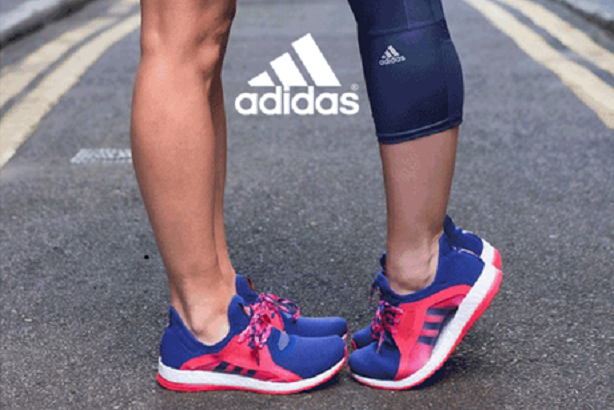 This was demonstrated perfectly in our Cannes Lions winning work in the Mobile Lions category for Adidas. The work launched on Valentine's Day and presented a point of view on Love. It started a conversation and delivered a point a view. As we reflect on the past few days at Cannes and conversations with new and old clients and continue our journey of change at H+K, it feels as though it is a very exciting time to be in the communications industry. If we look forward rather, we have the opportunity to define our own ‘future legacy’ within the industry and redefine H+K as the canvas to allow you to write your own story. Simon Shaw is chief creative officer, H+K global center of creative strategy.